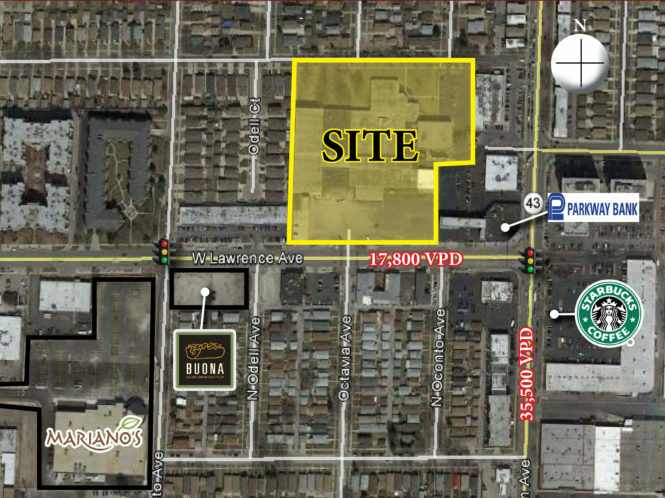 Anchor space & outlots available at the NWC of Harlem Ave & Lawrence Ave adjacent to Mariano's Fresh Market. This 8 acre site is strategically located in the heart of Harwood Heights with tremendous density - nearly a quarter of a million people within a three mile radius. Area retailer generators include Target, Best Buy, Carson's, Kohl's & Sports Authority.